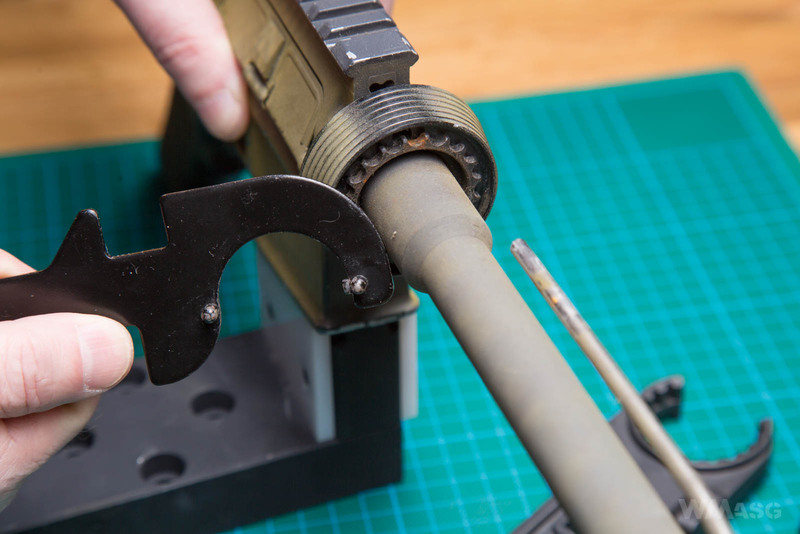 Buffer tube, castle nut, free float - do you know what are these tools used for? ATTENTION! BEFORE YOU READ FURTHER! 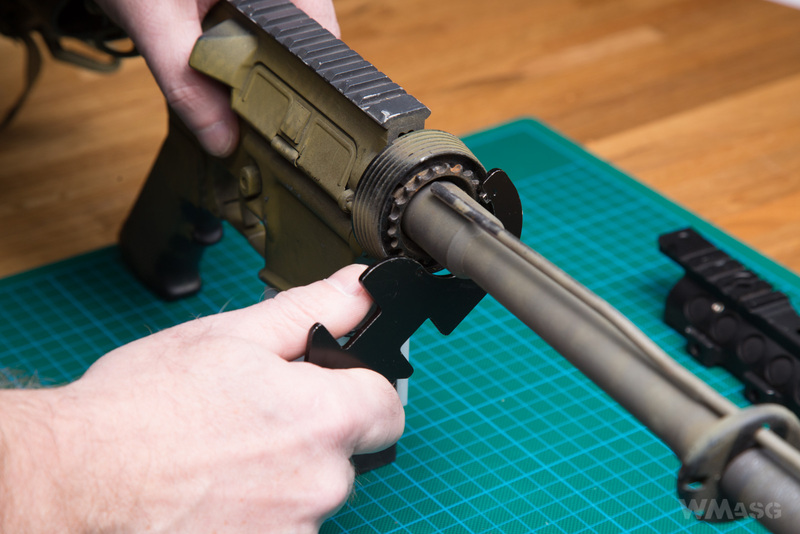 The vast majority of maintenance tasks around the AR platform, at least in case of airsoft replicas, can be performed by popular and commonly used tools in most workshops or using improvised means. Sometimes, however, some parts cause more problems than others. The chief editor likes to make his life easier and is also ... a gadget hoarder. The AR tools are a Pandora's box. Below we present the ones we currently have. These tools are mostly dedicated to firearms but, at the same time, they fulfill their function in airsoft replicas, especially those that replicate the dimensions of the original closely, which is the case with most gas powered replicas. We have made every effort to prepare the following article as accurately as possible. If, however, you have your own experiences, let alone home brew methods, write about them in the comments section! All the tools we have. One of the simplest (and the cheapest) tool model. The material it is made of is a 3 mm thick lacquered steel sheet. The price in Poland about PLN 20 (4.5 EURO) plus delivery. 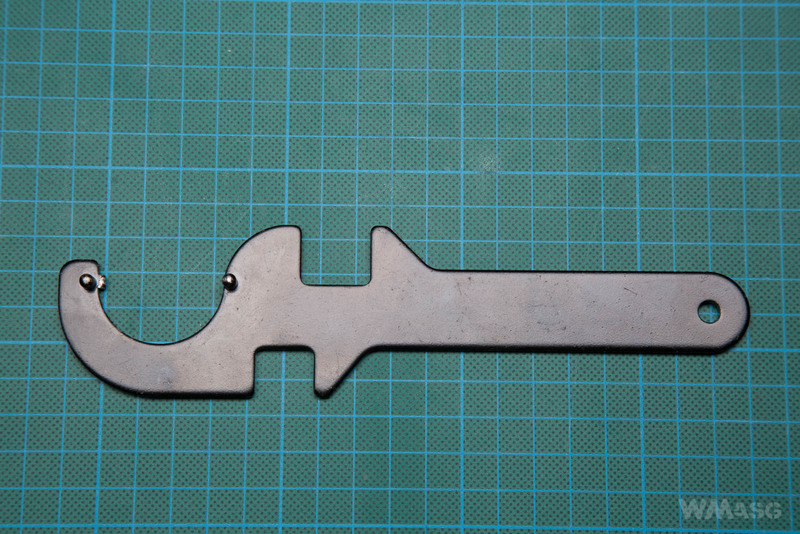 Its length is 190 mm and its weight is 110 g. The material a bit too soft and the tool's dimensions not very accurate. The comfort of work is none due to the small thickness of the gripping part. Good only for occasional work with a replica. 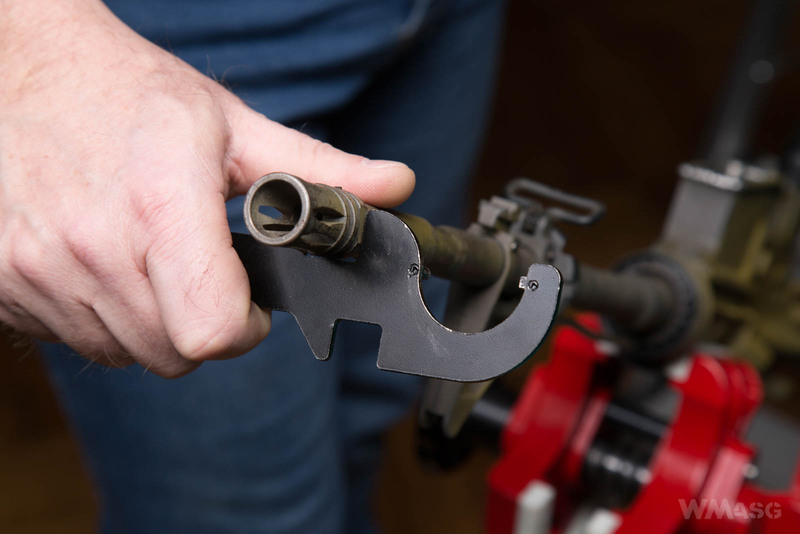 A wrench for unscrewing the barrel nut - it fits the standard rings used in the delta rings and for many rings of free float systems. 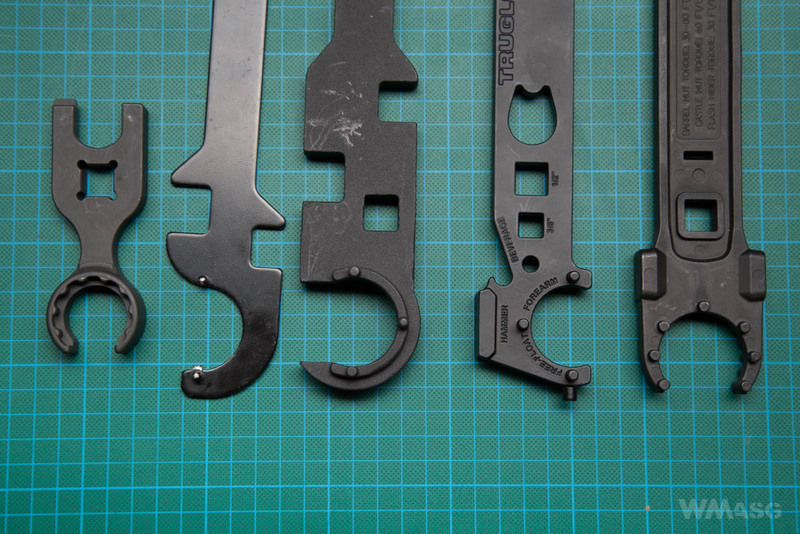 It does not work with the URX Knight's Armaments and NSR Noveske front rings (and their replicas). In use - barrel mounting. 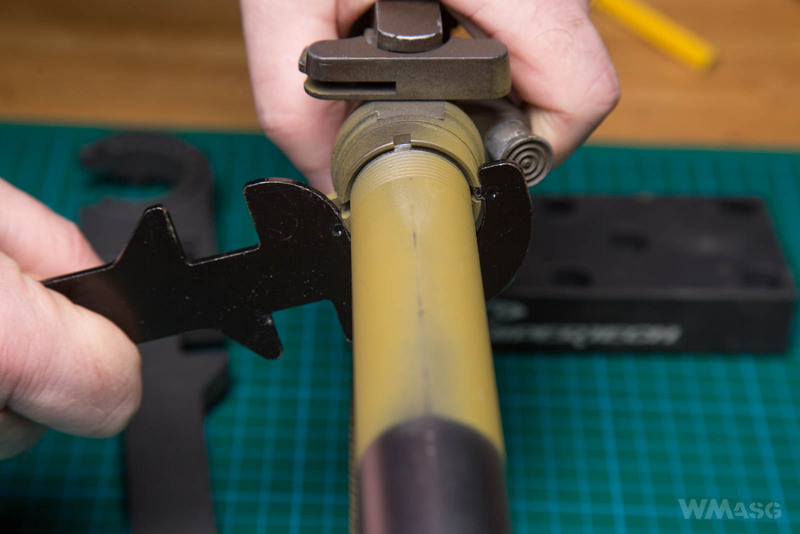 Castle nut if the buffer tube (telescopic but stock guide). Next page - tools made in China.